The Mockingbirds are, from left, George Dodds, Don Woodcock, Carter Houk, Barb Heller and Camilla Ammirati. Picture submitted by Sally Hartman | Pickens Hall. 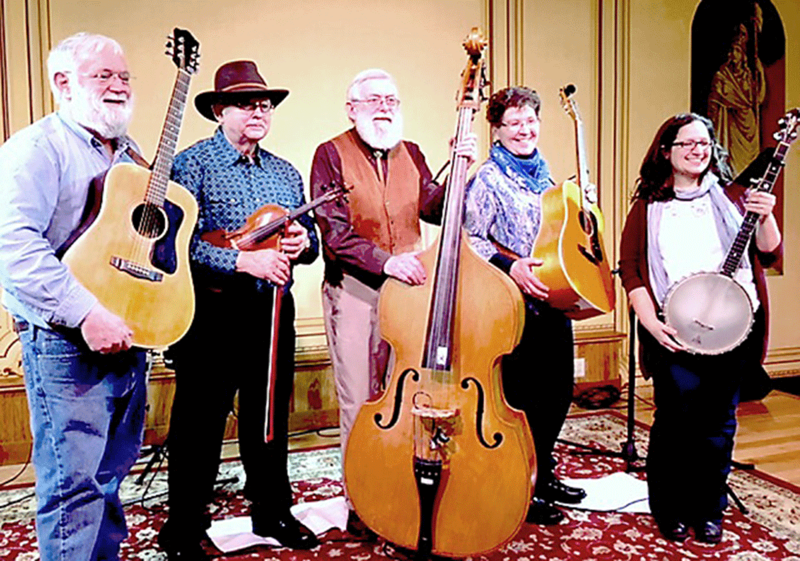 HEUVELTON -- Pickens Hall will present a concert by the Mockingbirds, a group of local musicians known for their classic country and bluegrass on Sunday, Feb. 10 at 2 p.m.
Tickets are $10 in advance, and $12 at the door. Performance intermission features refreshments for all patrons. The Mockingbirds blend bluegrass, old-time, country, folk, Appalachian, and fiddle music styles. Former NYS Grand Champion fiddler Don Woodcock, who plays everything from western ballads to Quebecois fiddle tunes. Camilla Ammirati specializes in old time songs and tunes on the banjo. Carter Houk plays bass and brings his broad country repertoire to the group. George Dodds plays guitar and lends vocals to a contemporary set of songs. Barb Heller plays guitar and brings traditional folk to The Mockingbirds. Pickens Hall is located at 83 State St.
Info: [email protected], 315-344-7950, www.pickenshall.com.